Doctors have called for common hospital disinfectants to be regulated like antibiotics after studies suggest that the chemicals are helping create resistant superbugs, according to an article on The Herald website. The researchers at Scotland's University of Aberdeen say that as many as 10 to 15 patients a month — in an average intensive care ward — are contracting infections linked to the overuse of disinfectants. This has led to calls for the products - Chlorhexidine and Mupirocin - to be more strictly regulated. 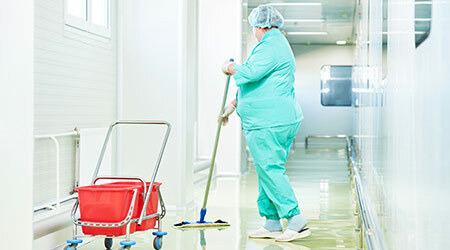 The results suggest that healthcare facilities need to change the way they think about using disinfectants, particularly in the hospital setting. The research showed that in environments with a high concentration of disinfectant, previously harmless staphylococcus epidermidis bacteria can develop resistance to treatments commonly used to treat infection. Despite the concerns over the use of the disinfectants, the researchers stops short of calling for hospitals to ban them.